The Ignite Program (workbooks) are available in Genos Surveys. These are customised per participant and have their assessment results embedded within them. 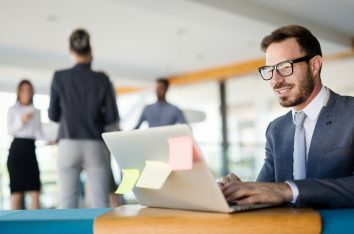 This article is written as a helpful guide for Genos Surveys Administrators (customers who are self-managing) and provides an explanation of each step involved in the administration of the Genos Ignite Program, a 6-module emotional intelligence enhancement program that includes a time 1 (T1) and a time 2 (T2) Leadership assessment. For customers requesting a Genos-managed Ignite Program, steps 1 and 4 onwards will apply to you. However, for the Time 2 survey, you only need to request the EI Leadership Report using the Survey Request Form. For facilitators, information about preparation and supporting resources are provided at the beginning of each facilitator guide (downloadable from the Member Portal). Step 1. Complete this preparation checklist for a successful assessment project. 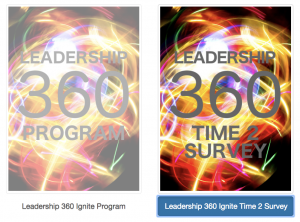 Step 1 – you can only choose between the 180 or 360 Leadership Reports. Step 2 – for the 180, the self-assessment cannot be included as it is already provided in hard copy. 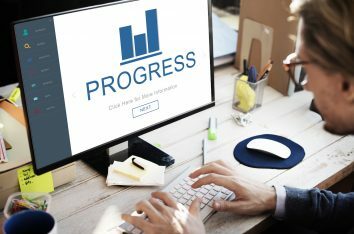 Step 5 – the survey start date must occur after the completion of module 1 and the reports must be finalised before module 2 commences. Step 2. 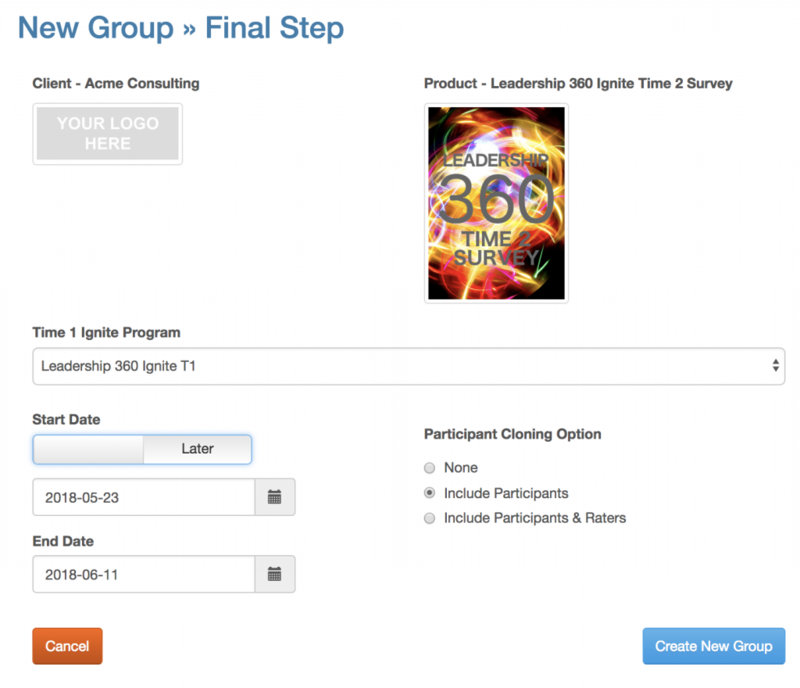 Click ‘New Group’ in Genos Surveys and create the Ignite program. To start, click create new group to initiate the survey creation process. Note: Please review the Administrator Tutorials if you are unfamiliar with using Genos Surveys for creating and managing survey groups. These are located in the Online Courses section of the Member Portal. The process for creating the Ignite program, managing the survey and downloading workbooks is similar to how you would create, manage and download the Genos EI Assessments. Tip: If you are running the program within a client organisation, please ensure you select the applicable client. This will include their logo as well as your own on the front of all booklets. Once you have completed the facilitator training for the Ignite Program, the Ignite T1 Program will appear on the Product selection screen of the group creation process. 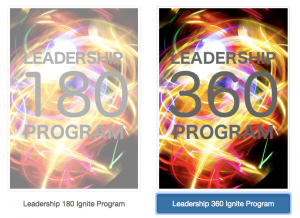 You will see two options: The Ignite Leadership 180, or the Ignite Leadership 360. 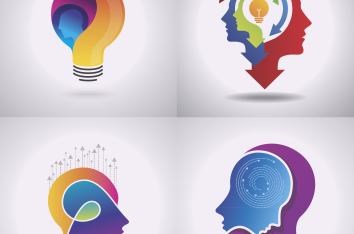 Select the desired T1 Ignite Program and complete the creation process. Step 3. Adjust the survey settings then add the participants. Now that you have created the time 1 Ignite survey, you should now adjust the settings for the T1 survey like you would do for any survey group. These include the start and end dates, email content and task settings (please refer to the Administrator Tutorials for more detailed instructions). Once you have adjusted the settings, you should now add or import the program participants. Step 4. Facilitate Module 1. Note: Once participants are added to the survey, Module 1, Module 2, Module 6 and the Development Tips workbooks can be downloaded for each participant at any point in time. Before the Time 1 Ignite survey commences, Module 1 will need to be facilitated with the participants. Step 5. Commence and finalise the Time 1 survey. Now that Module 1 has been completed, participants are expecting to receive their survey invitations, so firstly check these have been sent out successfully. Once the survey has closed and all reports are finalised (and no more survey extensions), you can now download the Reports, Module 3, Module 4 and Module 5. Warning and Tip: Once the report or any workbook containing results has been shown to the participants, the survey cannot be reopened for further feedback to be added. This will create a comparison of two sets of results shown to the participant, and hence, violating the privacy of the raters. This is why it is important to ensure you (and the facilitator) are 100% happy with the completion status of the T1 reports before the survey is finalised and booklets are printed. Note: Debriefs will need to be completed one-on-one with participants if the Leadership 360 Report is used, prior to the next module session. Step 6. Facilitate Module 2 to 5. For more guidance around facilitation, preparation and supporting resources for each individual Module, please refer to the applicable Facilitator Guide available for download within the Member Portal. Step 7. Click ‘New Group’ in Genos Surveys and create the T2 Ignite Survey. Go back to Genos Surveys and click ‘New Group’. Now that the selected Client has completed an Ignite T1 Program in Genos Surveys, the option to create an Ignite T2 Program will now be available during the group creation process. During this creation process, you will need to select the applicable Time 1 Ignite Program. You will also be given the option to clone the participants (and raters) from the T1 survey. It is imperative you follow this process to create the Time 2 Ignite survey in order to avoid further tokens deductions when creating a second Leadership Report for the participants. Step 8. Adjust the survey settings. Now that you have created the Time 2 Ignite survey, you should again adjust the settings for the survey like you would do for any survey group. These include the start and end dates, email content and task settings. asked to participate prior to receiving the system-generated email from Genos. If you would like to give participants the opportunity to re-do the nominations task, choose the ‘Include Participants’ option. Alternatively, if you choose the ‘Include Participants & Raters’ option, you could mention in the survey email to participants that their raters have been imported from their T1 report, but if needed they are able to edit their nominations task if they need to make any updates to the rater list. Step 9. Complete the Time 2 survey. Before the Time 2 Ignite survey commences, Module 5 will need to be facilitated with the participants. Once the survey has closed and all T2 reports are finalised, proceed to the final step. Note: Debriefs will need to be completed one-on-one with participants if the Leadership 360 Report is used, prior to the final module session. Step 10. Facilitate Module 6.